Neutrals are the perfect basis for a coastal living style, so think taupe’s, whites and all tones in between for the base palette of your wall paint and floor finishes. Soft greys and warm wood tones from beach pebbles and faded driftwood are perfect for main furniture selections. To update a current room in the coastal fashion, consider swapping out heavy window dressings to sheer linen curtains, painting feature walls in the colours suggested above and if you have warm wood or dark floorboards, try sanding them back and staining them with a matte finish. You could also whitewash these for a true coastal chic effect. When thinking about coastal chic, it’s hard not to imagine a lush, deep, linen sofa. If you have a current sofa, consider investing in a new linen tone or crisp white cover to transform it. Lots of plush cushions should be layered on the sofa or armchairs which will make the room feel inviting and relaxed. 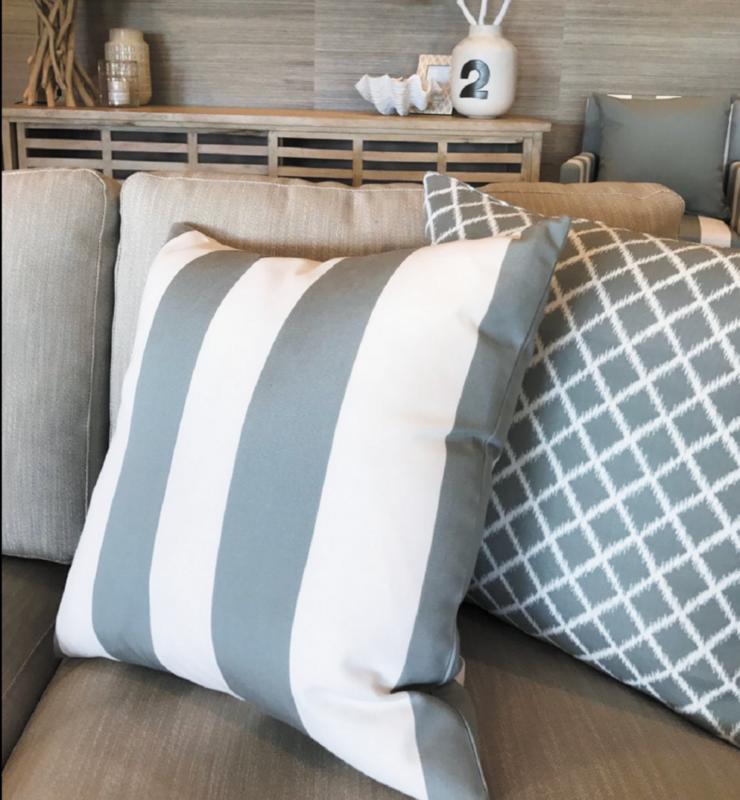 Incorporating scatter cushions in faded denim, soft wool textures or linen will work beautifully. Sisal rugs are a great anchor (excuse the pun) for a coastal-chic living room, as they tick both the texture and neutral-base decorating box. Raw wood furniture items in lighter tones such as elm or oak will achieve the right look. You could also whitewash/ rubbed back painted furniture as this signifies a coastal chic interior, and will echo the natural elements. Once you have your neutral walls, your raw floor coverings, and textured key furniture items, you can start to dress and accessorise the space. With regards to living rooms and coastal chic styling, opt for the light and soft blues like baby blue and light teals. 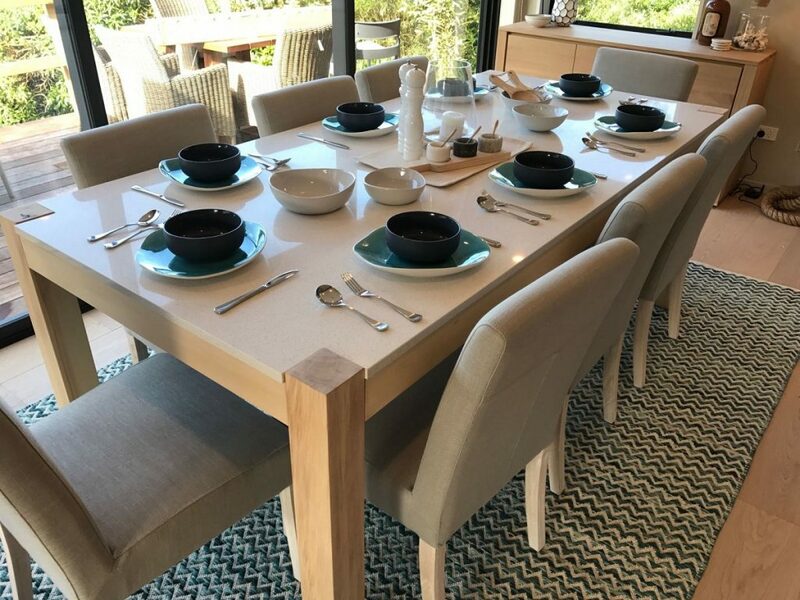 Any watery-like tones will create a sense of being near water, especially being paired with linen, beige or sand tones which you already should have with your overall base scheme. Playing with the right accessories is great fun as coastal chic is quite a casual look, which can easily be made glam. Think about elegant Hampton styling and play with mixing more classic accessories into the room in a way of big mirrors and metallic accents. Pops of silver introduced through hurricane lamps or candles are a favourite. 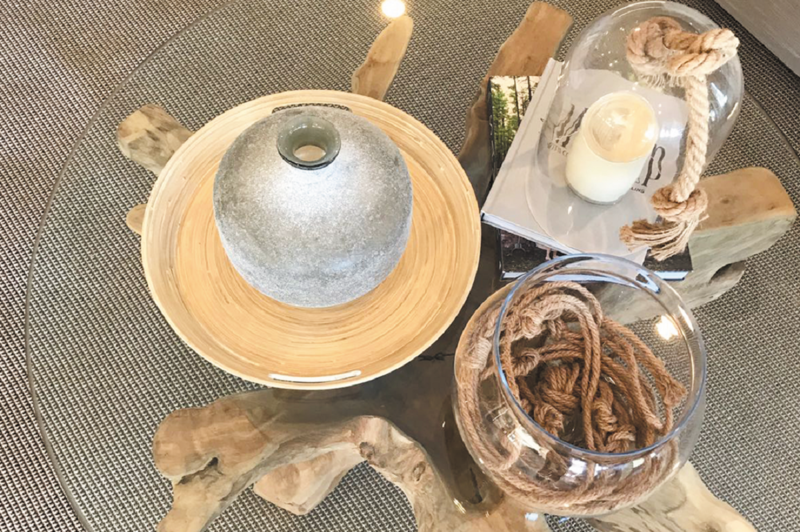 Stacking design books and large chunks of coral are great for coffee table dressings, along with interesting glassware objects such as old blue bottles, fish bowls filled with shells, or large glass balls wrapped in twine (quintessential coastal styling!) The key is to take these elements; glass, silver, blues and textural objects like shells or rope, and repeat them throughout the room for a tailored and complete coastal chic look. Can’t get enough of coastal styling? You may want to have a look at our post GET THE LOOK: Contemporary Coastal Styling.